MyRamani offers 3 flavors of hosting services for our clients - basic hosting, eCommerce or high traffic hosting, and dedicated hosting. No matter what the size of your website, or the requirements and specifications for your website, our servers are robust enough to handle your needs. Our servers are setup with precautionary measures, to let our webmasters know in case anything is functioning abnormally before any problems occur. This allows us to ensure a 99.98% uptime guarantee for your website with all our hosting services. This comes backed with our knowledgeable and well renowned support staff ready to assist promptly. 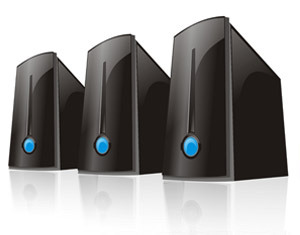 Specialized hosting with servers that already meet your software requirements AND we pre-install it for you! Page performance and security enhancements built in. Know that your site will be fast in the eyes of the user, search engines and most importantly.. secure! Webmaster Services - management of host, resources, security and automatic upgrades of server when applicable. Contact Us to get hosting now!